Is any destination in the world more exciting than New Orleans? This Louisiana city is home to such attractions as the French Quarter and Bourbon Street. You can dance the night away at a club or bar, and the city really comes to life during the annual Mardi Gras celebration. Even if you aren't a party person, you'll find plenty of cultural and historic attractions in the city. Hillcrest Lake Villas is one of the best timeshare resorts in the region because it is centrally located near Abita Springs between New Orleans and Baton Rouge, putting you close to the action but offering a relaxing place to stay. With these Lake Hillcrest timeshares for sale, you can save more money than you imagined on a vacation. The biggest decision you need to make is about the number of bedrooms you need. You can choose between a unit with just one bedroom or two bedrooms. All come with two bathrooms. The smaller units can sleep two in the bedroom and two on the sleeper sofa in the living room. The larger units at Hillcrest Lake Villas can sleep up to two people in each bedroom and an extra two guests in the living room on a pullout couch. You also have the option of an upstairs or a downstairs unit. There is no limit to what you can see and do in this fascinating region. The lake near the resort is perfect for boating, swimming or even fishing, and you'll also find yourself close to a large golf course. An outdoor swimming pool is also open to guests. If you visit in February, you can head to New Orleans and one of the historic districts to witness the excitement of Mardi Gras for yourself. Other popular events include a Jazz Festival in April and a Crab Festival in June. The resort is close to a number of other cities along the coast that offer attractions like museums and restaurants. Hillcrest Lake Villas offer gorgeous timeshares and puts you close to all your favorite attractions. 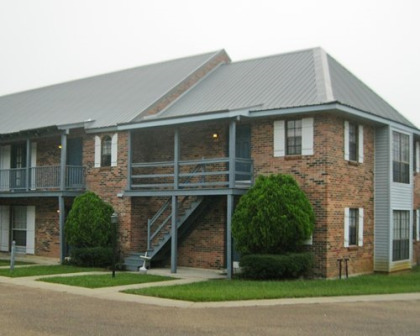 Look over all the Lake Hillcrest timeshares for sale today that you can buy at this Louisiana resort. Contact Hillcrest Lake Villas Specialist Today!